This week, the Law Library celebrated National Library Week, so what better time than now to highlight the Law Library’s partnerships and programs. The Law Library’s mission is to serve the information needs of the judiciary, court and government agencies, the legal community and the citizens of Anne Arundel County. We are committed to providing access to legal information, resources and referrals for our community. 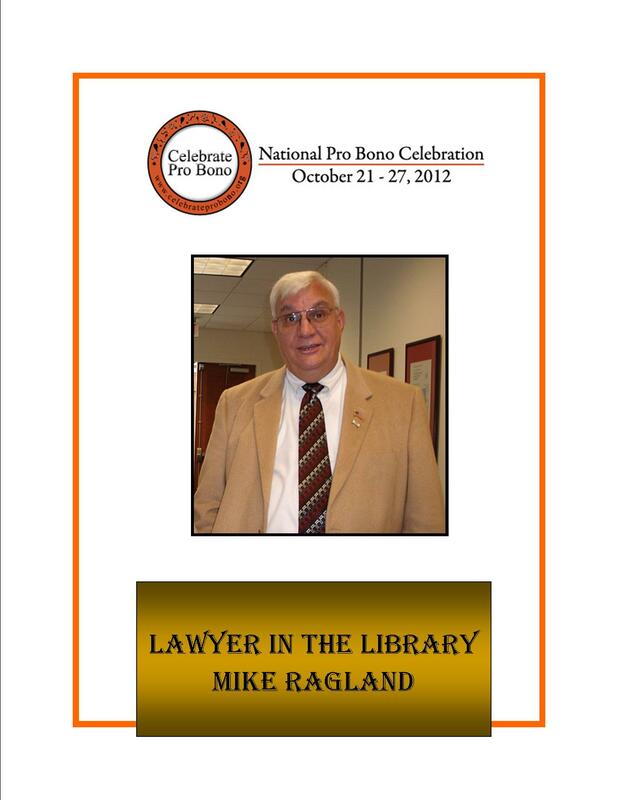 In connection with our mission, the Law Library has developed partnerships with the Anne Arundel County Public Library, the Maryland Volunteer Lawyers Service, the Anne Arundel Bar Association and the Anne Arundel County Local Pro Bono Committee to promote access to justice through access to legal information and resources. The Law Library coordinates and administers the Ask a Lawyer in the Library Program, which is a FREE program where volunteer attorneys provide limited legal advice on a one-on-one basis for a wide variety of civil matters (excluding family law matters). Every Wednesday, attorneys from the Anne Arundel County legal community donate their time and expertise to provide program participants with legal assistance and guidance on issues ranging from foreclosure, debt and bankruptcy, real estate transactions, landlord/tenant disputes, employment and wage claims, contract disputes and estate planning.The Ask a Lawyer program is offered monthly on the third Wednesday at the Glen Burnie Regional Library. Program partners include the Anne Arundel County Public Library, the Anne Arundel Bar Association and the Maryland Volunteer Lawyers service. Since its inception in 2009, 124 attorneys have volunteered over 1,200 hours to assist nearly 2400 participants! In addition to the ongoing Ask a Lawyer in the Library Program, the Law Library hosts and coordinates a variety of standalone or short term clinics. One upcoming program is the Personal Bankruptcy Clinic provided by the Maryland Volunteer Lawyers Service, which will be held on April 30, 2015 from 2:00 p.m. to 5:00 p.m. at the Law Library. This clinic is an opportunity for attendees to learn experience attorney about filing a Chapter 7 bankruptcy. This program will be repeated September 17, 2015. For those you who cannot visit the Law Library in person, we are available via phone (410-222-1387) and email (lawlibrary@aacounty.org). The Law Library has developed and continues to update the AACPLL Self Help and Pro Bono WIKI, a public wiki that serves as a guide to pro bono and self-help resources and referrals. Check out the wiki to learn more about family law resources available online, attorney referrals, pro bono and reduced fee legal services and volunteer opportunities. Don’t forget, the Law Library is open Monday through Friday, from 9:00 a.m. to 4:30 p.m. and can provide you with one-on-one legal reference assistance. If you are interested in participating in the programs described in this post as either a volunteer or program participant and would like more information, please contact us! This entry was posted on April 17, 2015 at 7:00 am	and is filed under lawlibrary, Libraries, Pro Bono, Self Represented. 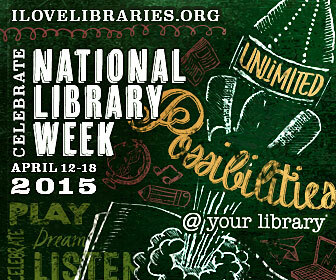 Tagged: lawlibrary, lawyer-in-the-library, NationalLibraryWeek, probono, selfhelp. You can follow any responses to this entry through the RSS 2.0 feed. You can leave a response, or trackback from your own site.